Need some Mosquito fish? I can provide them. Pictured above are some Females, the Males are smaller. They are live bearing fish (like guppies) and the females don’t get much bigger than the ones pictured. Mosquito fish can handle some pretty extreme conditions when it comes to temperature, water quality and lack of aeration which makes them ideal for small systems or brand new systems that need to be cycled up with a less expensive fish. They happily eat tropical flake fish food or will forage on bugs and detritus if place in a location where mosquito and other insects will try to colonize. Mosquito fish are great to keep in rain storage containers or any other standing water that is always at least an inch deep that would otherwise breed mosquitoes. I put 10 mosquito fish in each of my aquaponic raft beds and in the troughs under my towers and they have bread to expand the population to adequately cover the space and control mosquito populations. I am not yet totally set up to ship fish, however, if you are in Florida and want to have me ship fish to you rather than coming to visit and getting them yourself, please contact me and we can look at prices for a trial run. The post office has lots of requirements when shipping fish or any live animal which greatly adds to the cost. And water is heavy to ship. 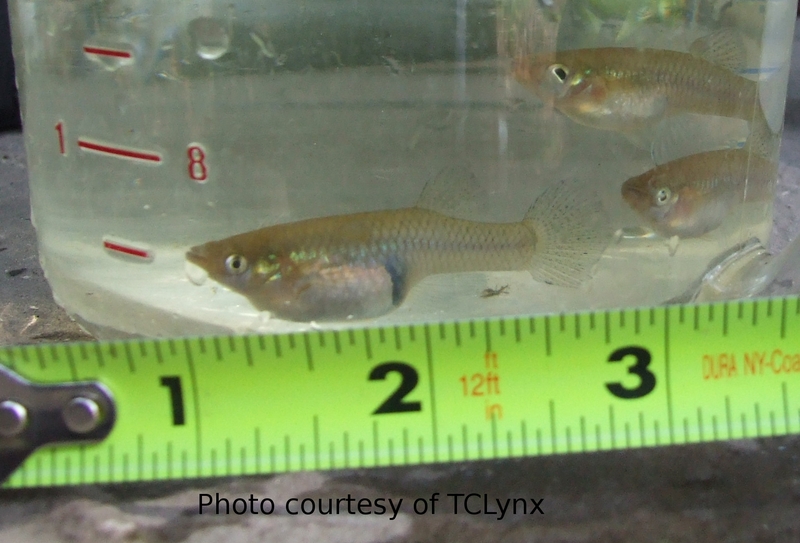 Mosquito fish are easier to transport but there can still be costs involved.